Rachel Poulsen joined the faculty of Edgewood College in 2006. Her research focuses on representations of women and eroticism in early modern drama, with an emphasis on comparative drama and performance. 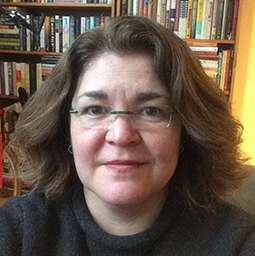 In addition to teaching widely in Renaissance literature, Rachel has taught drama surveys, mythology, epic poetry, world fiction in translation, LGBTQ fiction, women writers, and travel literature, among other topics. At Edgewood she has served as English Department chair and Honors Program Director, and has recently co-piloted a Global Studies course that culminates in short-term study abroad in Rome and Urbino, Italy. Rachel Poulsen finds interest in researching the topics of Shakespeare, Early modern drama and performance, Comparative drama, Early modern literary and cultural studies, and Queer studies.